The art, craft & painting holidays described below can be booked for the set dates or we will try to run a bespoke course for dates of your choosing. We are happy to do short art breaks, art weekends or a full weeks holiday. Course outline: This specialist Italy art holiday course introduces participants to the techniques of the master painters from the medieval and Renaissance periods in Italy. From grinding pigments to the formulation of traditional recipes from egg tempera to watercolour and oil paint, the tutor demonstrates how essential this careful preparation was to all the great masters. 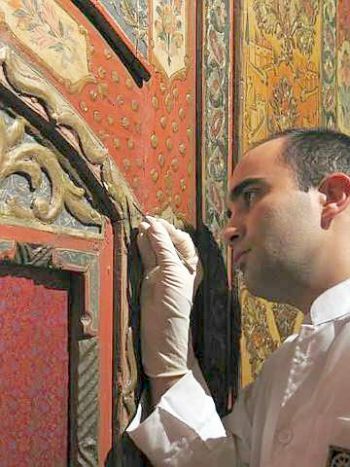 The technique of preparing a gesso panel and gilding with gold is also taught which participants will use in creating a painting of their choice inspired by the frescoes in the surrounding area. 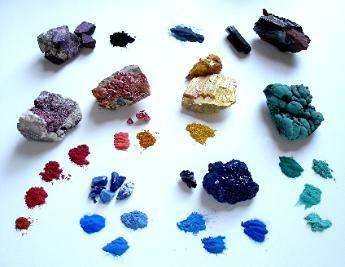 Participants on alchemy of art-painting holidays in italy will gain a thorough grounding in traditional materials and techniques, the principles underlying them, and the spiritual alchemical meanings behind the processes. Organised through Montanaro Circle, Tutor: This painting holiday in Italy is led by Idries Trevathan an artist and a trained art conservator. Through his art & conservation efforts he has been presented with a variety of awards which include; the National Association of Decorative & Fine Arts Societies (NADFAS), the Zibby Garnett Fellowship and the Knights of the Round Table award, the Hamad Bin Khalifa Fellowship and most recently a Getty award to present his paper at the International Institute for Conservation. Course outline: An art holiday that is both a practical and spiritual exploration into the arrangements of individual parts to form a collective whole. You will be trained on essential mosaic techniques and a wealth of inspiration, You will learn to harness your creativity through a series of practical techniques. You will experiment with figurative and non figurative design, colour and tone, texture and reflection and form and repetition. With a day out to Ravenna, the historically famed centre for mosaic production, this course will enable you to unleash your inner mosaicist. By the end of the week you will have a mosaic piece of your very own to take home with you. Organised through Montanaro Circle, Tutor: Ben Craven. Ben attended a foundation course at Wimbledon followed by an B.A. Hons degree in Fine Art at Winchester School of Art. 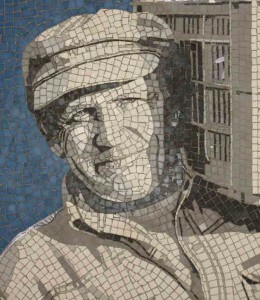 Having finishing his training, he opened Brighton’s first mosaic studio. Course outline: A Craft holiday in Italy Green woodworking involves the use of freshly felled trees and involves a number of woodland crafts, including turning and carving. On this art break you will learn to use a foot lathe, which is the traditional method used to turn green (unseasoned) wood with little effort and without the noise, dust, or danger involved with modern industrialised turning. This art course will engage participants with the entire process of woodwork from sourcing and preparing the wood to the finished work of art. By the end of the week will have some of your own hand crafted creations to take home with you. Suitable for everyone. Maximum group size: 10. Week overview: Participants arrive on the Saturday afternoon and will be welcomed by their hosts at Fontechiara for dinner. The taught course starts on Sunday 10am-1pm with a break for lunch, then an afternoon session from 3-5pm. Thursday is a free time day for relaxing or exploring the local area. 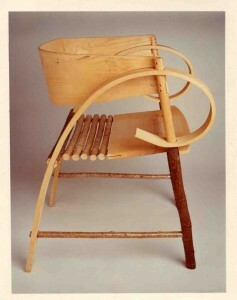 Organised through Montanaro Circle, Tutor: Tom Harding, the son of a potter and a silver smith, was weaned on the importance of good design and skilled craftsmanship. Tom trained at City in Guilds in Cabinet Making where he learned the art of furniture making and has been a successful furniture maker in his own right with commissions for a number of bespoke pieces for important clients. Course outline: This art course will introduce participants to the egg tempera on gesso technique, practiced by the Prosopon School of Iconology. 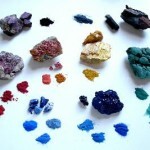 Students on Icon Painting art breaks in Italy will learn to use traditional earth and mineral pigments, made of semi-precious stones and rare minerals, such as lapis, malachite, cinnabar and azurite. 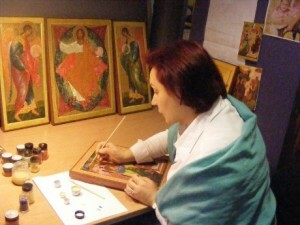 Participants will be taken through the techniques of gold leaf gilding and icon painting, with the aim of completing a small icon in Russo-Byzantine style by the end of the course. I person €1500 per person (sharing a twin/double ensuite room), 2 people €999 per person, 3 people €849 per person, 4 people €799 per person, 5 people or more €749 per person. 5% discount per person for early bird booking (Jan & Feb) or groups of 3 and above. INCLUDED 7 nights accommodation, 7 daily breakfasts, 7 lunches, 7 evening meals, all tuition and course materials. NOT INCLUDED lunches on free time day and arrival/departure Saturdays. Sunday-Friday evening meals can be taken at Fontechiara or nearby local restaurants, markets and cafes. Soft drinks and local wine can be bought on-site. Airport transfers can be arranged at 60e per person each way.We highly recommend you rent your own car so you can discover the area in your free time.